TrioXFontManager is a utility that enables users to easily preview fonts installed in system or located on user disk; display the detail information of the fonts like font family name, font version and copyright etc… Preview characters in grid of the selected font. User can compare different fonts by Custom String Preview, by selected multiple fonts in fonts list. 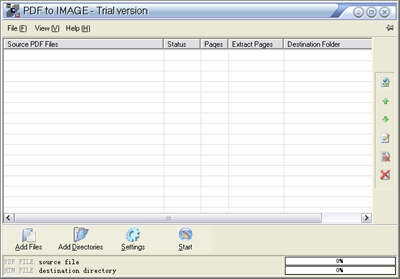 TrioXFontManager also provide functions to print out system fonts list and selected fonts Character Map. BitFontCreator Pro 3 Upgrade – Upgrade from BitFontCreator ver2.x. Attention: To purchase the upgrades from lower version, you MUST have purchased a BitFontCreator license before this order. December 14, 2014 Desktop Enhancements, Font Tools, SoftwareHigh-Logic B.V.
MainType (more information on our web site www.high-logic.com) is a powerful font manager for Windows that offers a straightforward and easy-to-use interface to help you maintain your fonts. For your convenience the character grid shows all characters grouped in Unicode blocks. Print (along with print preview) results in outstanding reports. The export wizard is able to output font information to clipboard, text and html. FontCreator has the powerful font-creation tools that typographers and graphic designers require, and an intuitive interface that even allows beginners to become productive immediately. The editor lets you easily select and modify the entire character set of any TrueType? font and fonts based on OpenType? font technology. Features include the ability to convert (scanned) images to outlines, thus enabling you to create fonts with your own signature, logo and handwriting. The intuitive interface makes Font Creator the perfect tool for both new and experienced users. Whether you’re a font vendor who wants to create and distribute royalty-free fonts, a designer who needs a unique font, a business person who needs to add a euro sign, logo or signature to an existing font, or a home user who wants to make a font based on your own handwriting, FontCreator has the tools you need. Win32 Font Lister is a fully-featured font listing and reporting tool. It will generate multi-line samples of all your fonts – whether installed or uninstalled. An easy-to-use wizard mode gets your reports out fast, and a more sophisticated advanced mode gives you complete control over all aspects of the final report. FontLister is the best way to find your way through all your fonts. Got a lot of fonts? Would you like a quick way to see them — even the ones that aren’t installed? Then take a look at FontLister, a good-looking utility that no Windows font fanatic should be without. It lets you print and view samples of all your typefaces (including TrueType, Type 1, and screen fonts). Switch between a two-paned, Explorer-like ‘edit’ view that shows samples of faces one at a time and a full-screen ‘compare’ view that builds quick samples of all fonts — screen, printer, or uninstalled — so that you can see several typefaces at once. The edit mode also gives you three sample choices: upper and lowercase with numbers, all ASCII characters (which lets you spot which faces have complete character sets), and imported custom text. You can print three different types of samples of every font or just the ones you need hard copies of. A toolbar lets you quickly change the font’s attributes and size, plus you can adjust the background and foreground colors. FontLister lets you delete and install TrueType fonts, gives you more-detailed information on each font, and sports several interface and printing enhancements.